I don’t know when these cowpokes came into town. But I like what they’ve done with the place. Beautiful original Velzy, classic 1960s design but made in the 1980s using lighter fiberglass cloth and resin. The D fin is a balsa redwood laminate that is glassed in. The lightness makes this a rare blend of wall hanger and highly rideable craft. This board was shaped by Dale Velzy himself and has his signature in the stringer. It is a joy to have a board shaped by such a master. At 9′ 4″ it displays wonderfully, the colors are bright vibrant, the fin stunning and it has great logos on both sides. The board has some pressure dings but was very well looked after by its original owner. 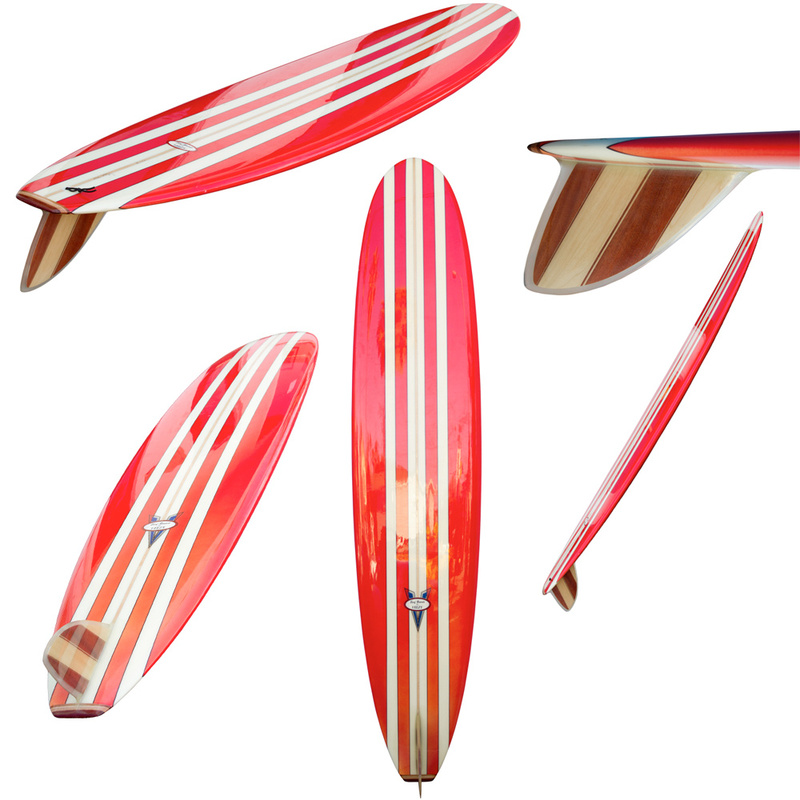 The deck has bright red stripes with clear center, wood nose and tail blocks and a single half inch balsa stringer. 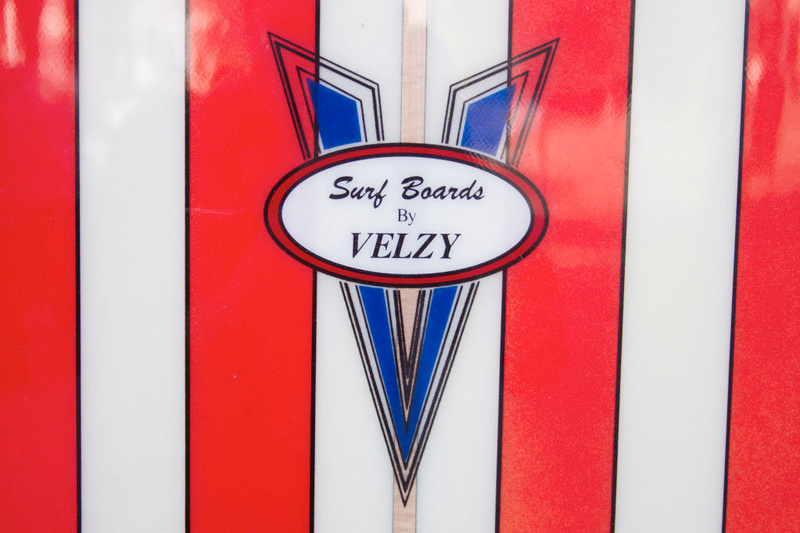 There is a Velzy decal on deck and bottom with clear vivid color. The leash plug is original. Dale Velzy: Surfboard Designer, Cowboy, Entrepreneur, credited as opening the first surf-shop ever in Manhattan beach CA. Velzy invented “the pig” shape with a much wider rear allowing for easier turning. Velzy was the inspiration for the Big Wednesday character “Bear” and had a Hawaiian surf spot named after him called “Velzyland.